We never had the cuter first aid helper like Cool Gel N Cap for kids. It is a natural remedy to sooth bruises, bumps, fever symptoms, migraines, headaches, teething, ear infection pain in a fun and easy way. The hat contains two packs with an ability to provide warm or cold compress. Cool Gel N Cap has pockets inside where you can put your gel packs and they are detachable. The gel caps can be placed on forehead, ears, back or side of the head, simply slide gel packs inside Cool Gel N Cap pockets and apply to a problem area. When we first received it, Teddy wanted to put it on right away. 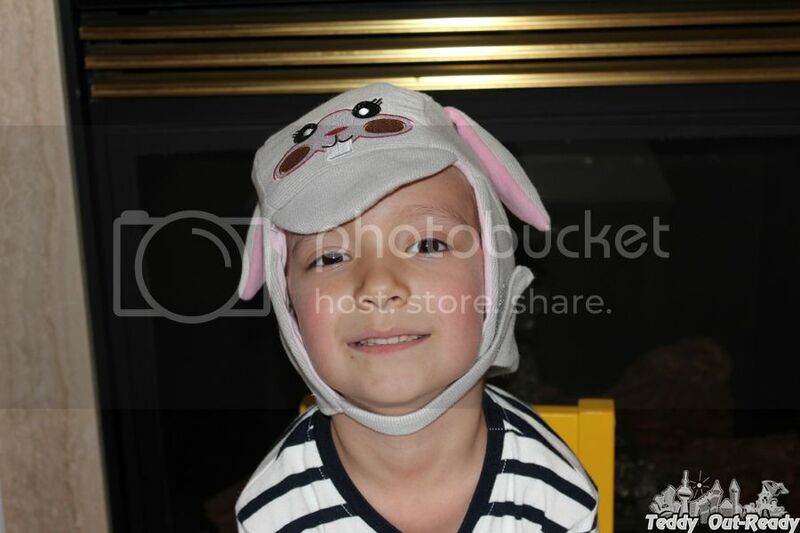 He likes it so much, because it is a lovely and friendly bunny character cap, feels comfortable and fits Teddy’s head. It is very interesting to find out that the first cap is designed to eliminate perception associated with cold packs and ice packs. I think that it is a good idea to distract kids from pain they feel to something funny and joyful. Cool Gel N Cap is amazing and kids-friendly, it is designed as a character hat and even gel packs have carrot images on them. This long winter we had fever so many times and Teddy always asks something warm to relieve his feverish condition. Tulip The Bunny Cool Gel N Cap was so handy to use. 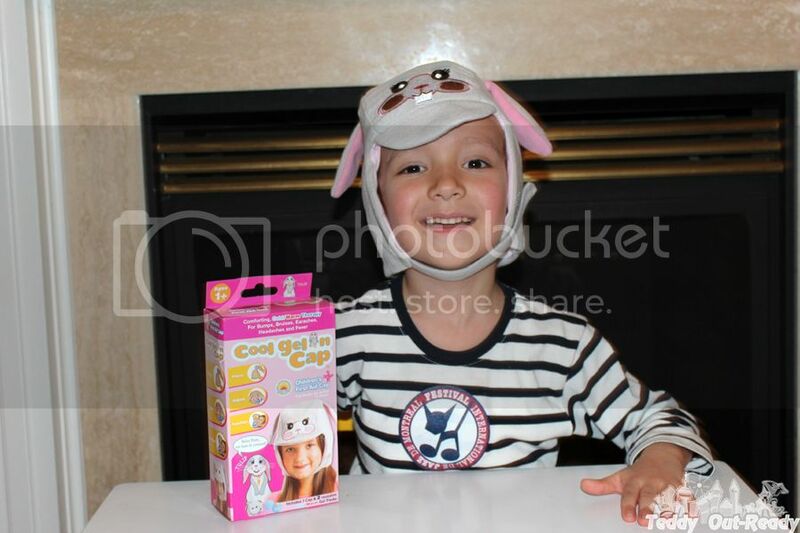 Since we received a cute bunny cap, we play game to make our kid feel better and forget about his pain. When Teddy did not want to go to bed we created a story about a bunny who wants to sleep, that way it was easier to convince our sick kid to close his eyes and fell asleep. Since gel packs are detachable you can use them separately ( not only for the head) to sooth some bumps on the body, they are warm packs and cold packs for kids. Teddy had one recently when he fell on his knee when playing at home. The gel pack was so effective that by the end of the day the bump was gone. The gel packs are non-toxic and latex free, they are reusable and freezer (25 min recommended for kids ice packs) & microwave (20-30 sec) safe. Cool Gel N Cap is machine washable and very durable. Overall, I can say that Cool Gel N Cap is cozy and very kids friendly. Such a fantastic product to make family life much easier and better caring in a unique but easy way. I would suggest putting it in the First-aid Kit and keeping it close in case something happens.